Q. Where can I find recent product reviews from Consumer Reports ? Berkeley College libraries offer access to articles from Consumer Reports. The full text coverage is available in the Nexis Uni database, and includes issues from January 1989 to the most current one. Open Nexis Uni from the databases page. Type your source, Consumer Reports, into the search bar. From the drop-down list, click the Add To Search Icon, which looks lke a magnifying glass. 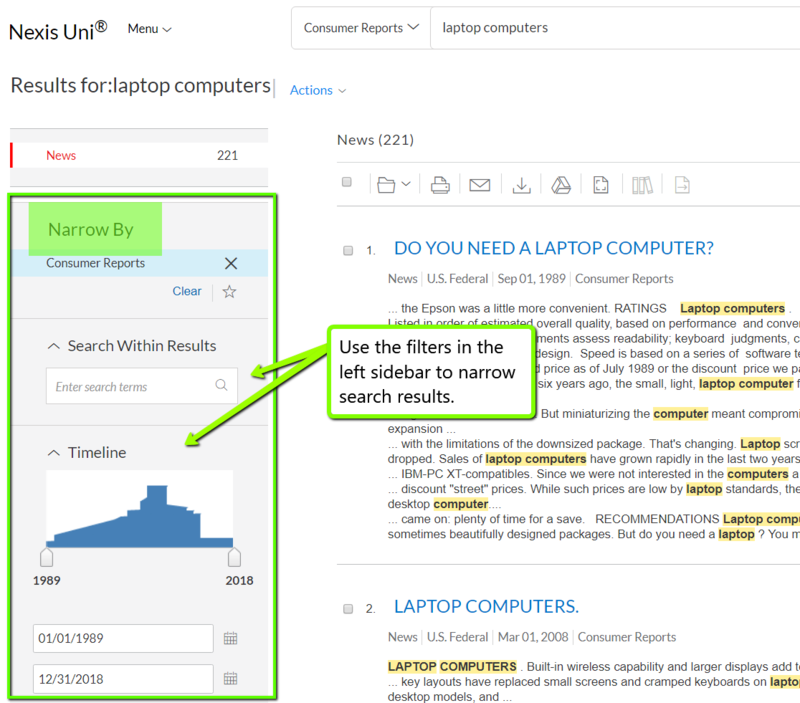 Below is an example search for "laptop computers" for articles published between 2015 and 2018.